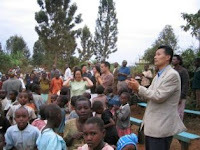 Gospel is reaching many regions of Tanzania. There is a new church plant going on in Musoma through one of our Moshi Bible school graduates. Several churches are currently constructing their own facilities. As for children ministry, the kindergarten and primary school have grown upto 97 students who are presently studying with us. This forces a relocation of the school to a larger space, and eventually a construction of the permanent school premises. Computer class and English class still attract many youths in the community because they consider such learning opportunities as valuable investments for their employment. EAPTC’s various school ministry efficiently penetrates the community and introduces the light of the gospel to the locality. 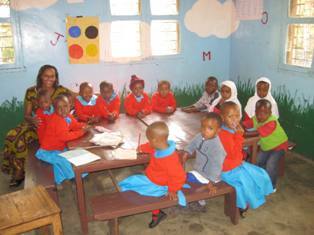 Other Swahili nations where EAPTC works are gradually catching up. Gitega Bible training center in Burundi is currently training 15 students for the basic discipleship course. The works in eastern DRCongo are rather slow due to post-war syndrome prevalent throughout society, however, EAPTC workers persistently seek to be the light that Jesus calls them to be. Besides, national leaders of the 9 African states where EAPTC is rooted are now in unison to look after the needs of one another and are determined to grow together as a team. For this unity, we’re indeed grateful. We can see that this is surely the move of God! Last school term of Nairobi kindergarten marked the lowest enrollment because of the parents’ fear over possible post-election violence after the March poll and their consequent reluctance to send children to school. This resulted in shortage of school income and difficulty to pay for rents. The kindergarten desperately needs a permanent premise, having served as the African hub of EAPTC children’s ministry for years. Your prayers and donations of any amount for this cause will be highly appreciated. EAPTC Bible training ministry keeps on running and producing sound leaders at its extension centers in Nairobi and western Kenya, together with other centers in operation in 8 other countries. New churches continue to spring up as the commissioned graduates go out to villages and plant them with the support of their mother churches. This multiplicative strategy has been proven synergy-effective through many years of trials and testings. The methodology is also cost-effective. Meanwhile, if you and I can back them from overseas with matching fund givings to assist those new churches’ facility constructions, we can easily see long-lasting fruits of our mission endeavor in Africa and other parts of the world. Even now, EAPTC Malawi is envisioning to plant another church in the heart of South Africa – Pretoria – , which may, in turn, become another mother church for our Southern Africa mission. The Lord’s vision is marching on! You and I are proudly a part of it. Let us keep on feeding this vision tree with our prayers and giving that it may grow deeper and wider and cover our beloved continent of Africa and our world.